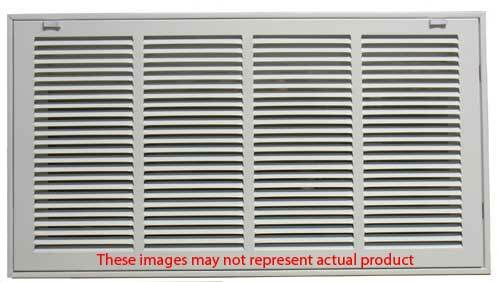 20 X 12 White Steel Return Air Filter Grill Discounts Apply ! This steel filter grille is great to filter hvac air in both residential and commercial settings. To keep homes and offices free from allergens and dust particles, filter hvac air with this steel filter grille. This grille features a hinged faceplate, allowing for quick and easy filter replacement. This steel filter grille uses a standard 1" thick filter to filter hvac air and features sturdy stamped steel construction in its frame and its faceplate. Please note that this steel filter grille does not come with a filter - this must be purchased separately.